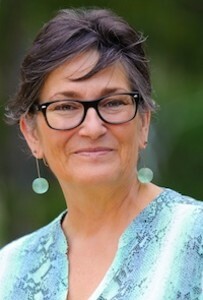 Lynette Russell is Director of the Monash Indigenous Studies Centre (MISC) at Monash University, Melbourne. She has published widely in the areas of Indigenous and contact history, post-colonialism and representations of race, ethnographic knowledge and archaeology. Her many books include Roving Mariners: Aboriginal Whaler and Sealers, in the Southern Oceans (SUNY Press 2012) and, with Kate Auty, Hunt Them, Hang Them: ‘The Tasmanians’ in Port Phillip, 1841-42 (Justice Press 2016). Lynette was a contributor to the NGV’s Colony: Australia 1770-1861/Frontier Wars (2018), where she was also one of the exhibition’s opening speakers. She is the current President of the Australian Historical Association.